NEED A CLEAN and modern RESPONSIVE WEBSITE? Blogs and Community Websites at A Affordable rate! ​You may already have an existing website, and only would be needing a maintenance service to load it with fresh new content or information. A responsive website automatically organizes its content for different screen resolutions, which makes your site cleaner for mobile devices. Websites shouldn't just be good looking, it also has to be functional and should load fast, which creates a good user experience to every devices. Your website will be automatically optimized for search engines through the use of sitemap, proper HTML formatting, and meta descriptions. I can add social media elements or plugins to your website that you might need to help you market your content and help your clients stay updated. BUILD EASILY WITH OUR WEB PLATFORM! 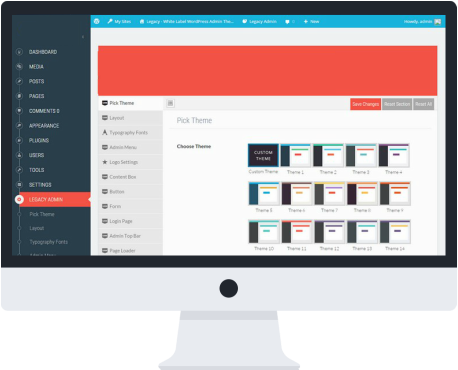 You can easily edit your website anytime with our content management system anytime without additional costs. Whether you’re a beginner or professional, the interface is fun to use and there is absolutely no coding required in updating your website content. You might need to collect important or critical information of your clients or customers. Well our contact or application forms is what you need. Every package or plans we offer includes support or help you might need through the user of online chat, e-mail, or even with the use of your phone. If you would like to collect some important information of your clients. Well I can setup forms and help you collect those information through email. "Perfect, you've done a great job in re-creating my website, very clean and modern"
"RevillaDesigns was able to provide me support with my website, although our contract is over"
"So far, one of the best web design services you can find, a designer who actually knows what he is doing, you've done a great job."